Elephant poachers killed three rangers in Democratic Republic of Congo's Garamba wildlife park and wounded two other people including the Swedish park manager, environmental officials said. One of the rangers was found dead near the site of the Saturday attack, said African Parks, which manages the UNESCO world heritage site. U.S. forces in the area evacuated the others, but two of them died of their injuries a day later at a military base in neighbouring Central African Republic, the organisation added. The survivors were in a stable condition. "Rangers put their lives on the line each and every day, and are under real siege in Garamba protecting elephants from heavily incentivized and militarized poaching gangs," African Parks chief executive Peter Fearnhead said in a statement. 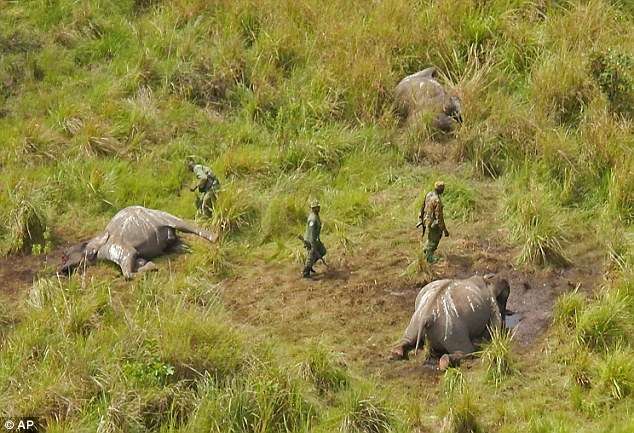 Armed poachers killed three Congolese soldiers and five guards from the state wildlife authority in three separate incidents in Garamba in 2015. Africa's elephant population is estimated to have dwindled by 60 percent over the past decade, and around 30,000 elephants are poached each year largely to supply ivory to Asian countries, say campaigners.